Riding on horse-back is the ultimate way to view game in Africa and Umndeni specialize in this. There are over 50 kilometers of sandy tracks on the reserve to explore the bush. We currently have 8 horses and they are friendly and good natured. We cater for the experienced and the beginner. Riding at Umndeni is a wonderful activity for the whole family. Rides are usually 1 – 2 hours, but longer rides taking a picnic lunch can be organized. 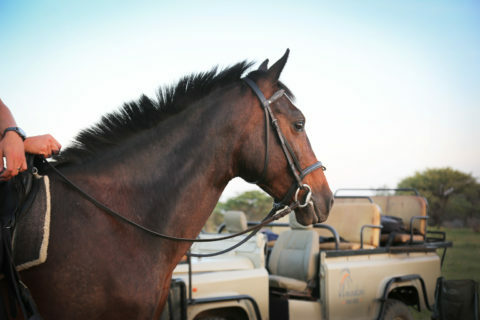 The horses on the reserve are very well looked after and are ridden every day.